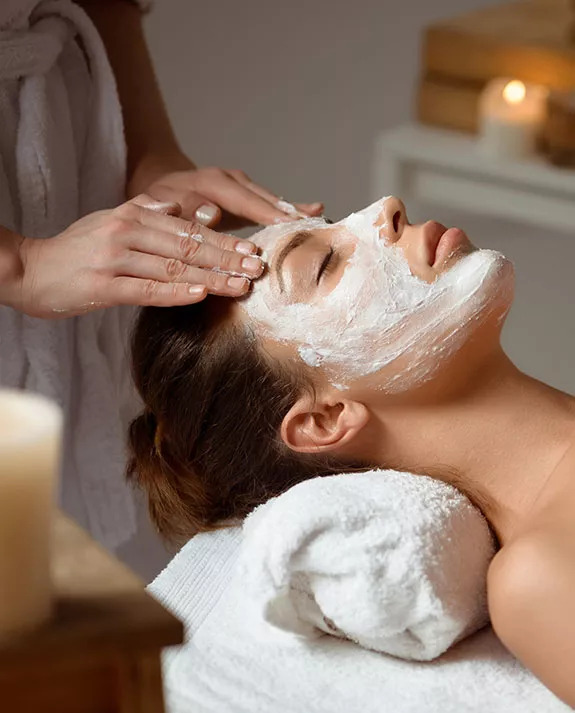 From soothing massages and rejuvenating facials to relaxing manis and pedis, let the healing hands of our students chase away the stress of daily life. In the calm urban oasis of our City Square campus, our Student Estheticians will pamper you with some of the most prestigious skincare brands out there, including Dermalogica and Laboratoire Dr. Renaud. Let your hands and feet be nourished, loved and lacquered in our Nail Studio. Need a wax, lash tint or brow shape? We’ve got you covered. Come and indulge in a little spa luxury in our open Esthetics skincare room, and enjoy a student service catered to your needs. We're mixing up fresh looks and crushing amazing colour in our cutting edge, student-operated Q&A Salon. 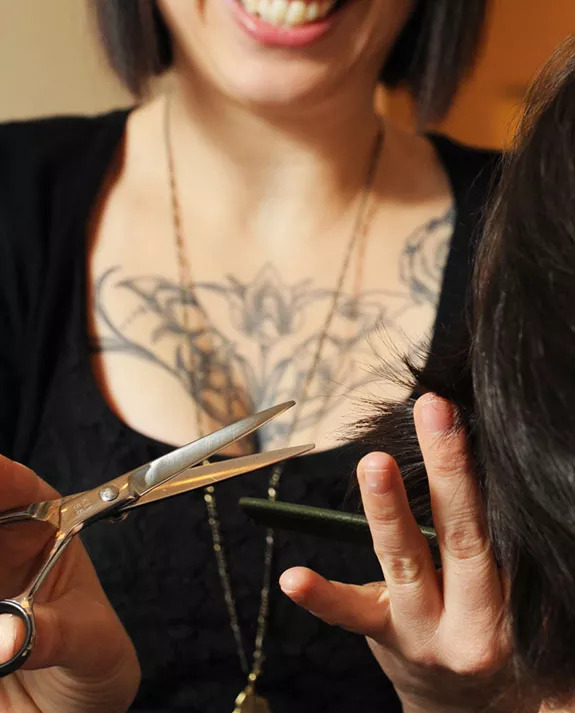 Bright, buzzing and stocked with gorgeous product – from the luxe Cuban lily scent of Oribe to the eco-conscious pastels of the Kevin Murphy collection – Q&A is our Learning Laboratory where our Pro Hair students give you locks to love. Whether you need a trim, a re-style, a blowout or a balayage, join us at our Atelier campus and pamper yourself with a new 'do. All services are performed by students under the close supervision of our qualified instructors. Thank you for being a part of our learning community! 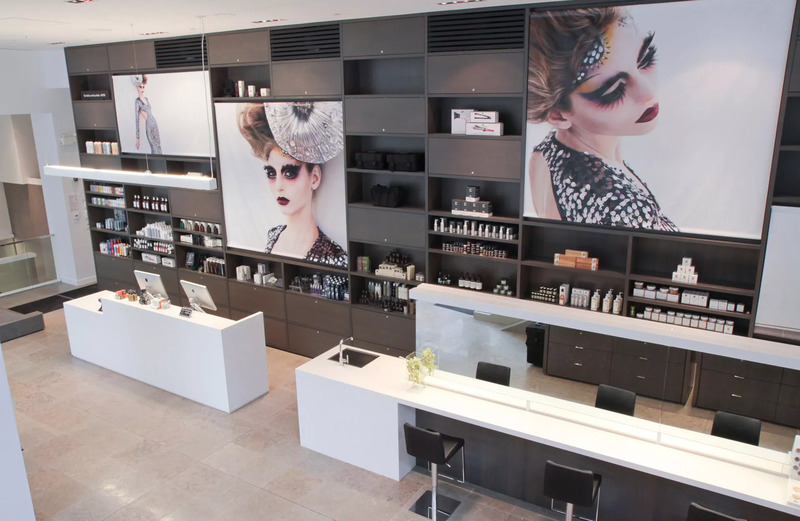 A revolving door of fun, education and entertainment, CurliQue is much more than a pro beauty boutique. It is a creative classroom, a venue for interactive workshops and industry events, and a vital extension of the world-class training we offer at Blanche Macdonald. At CurliQue we strive to give not only our students, but everyone in Vancouver, an intimate view of how the top tier makeup artist works. Many of the products we carry are exclusive to us in Canada, quickly transforming us into a destination spot for discerning makeup and hair artists as well as your everyday product aficionado. We’re also the only Make Up For Ever Pro Store in Western Canada. Pop in for product and come and play with us at CurliQue. We can't wait to welcome you to our space.